The Falcon Eyes ML-40 40W Daylight Lamp is equipped with an E27 socket, the ML-40 spiral daylight lamp provides a stable color temperature of 5500K. The output of this Daylight Spiral Lamp can be multiplied by factor 5 while comparing with a normal light bulb. 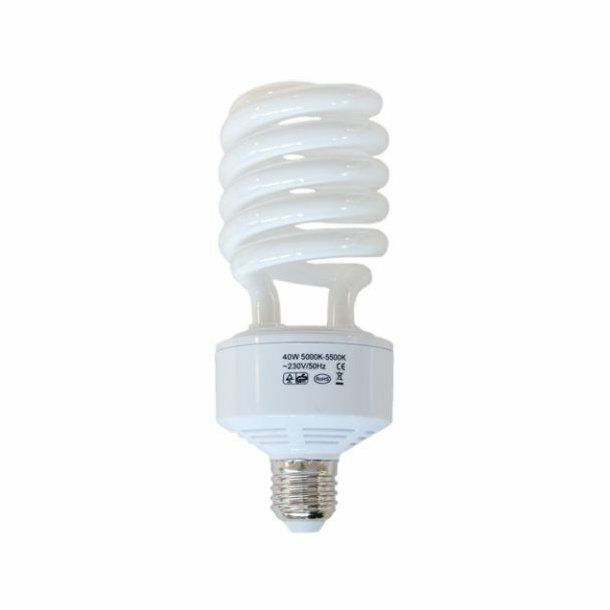 The output of these 40W spiral lamp is comparable to a 200W light bulb. Please note that there are different qualities and price ranges for these lamps available. Therefore it’s wise to compare the light output (measured in LUX) from each lamp and/or brand. The output from this spiral lamp is stated in the specifications below. The ML-40 is 18cm in length including the socket and 7cm wide.